Francesca Toracinta '20 is an accomplished gymnast. At the beginning of the Lenten season, St. Thomas Aquinas faculty and students received a special presentation from junior Saint, Francesca Toracinta. 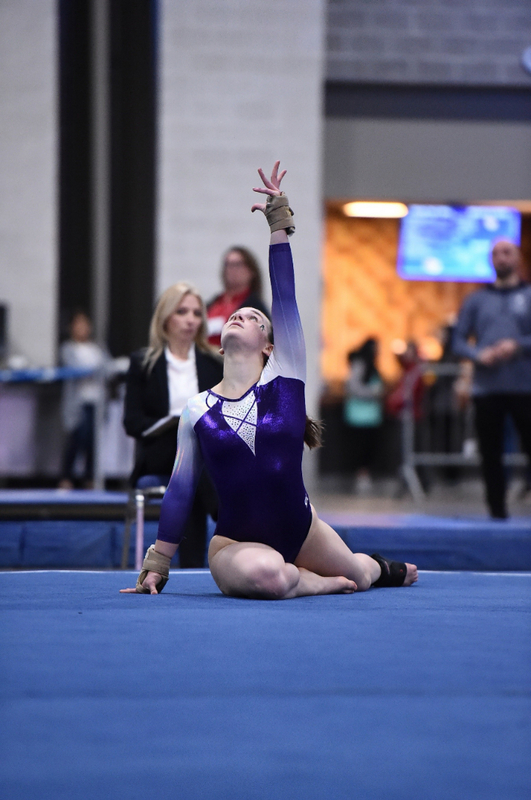 To help draw the parallel between the Christian journey of Lent and "real life," Fran shared how her avid participation in gymnastics requires many of the same elements: self-discipline, focus, sacrifice. Fran spends many hours each week outside of school preparing and practicing for her gymnastics routines and competitions. Because of her admirable commitment, she often has to miss out on things that other high school students enjoy: extra time with friends, carefree weekends, spontaneous trips. Instead, Fran remains loyal to both her passion and her team as she keep gymnastics at the forefront of her days. This past weekend, Fran's hard work paid off as she represented New Hampshire in the Northeast Regional Championships competition. She placed 4th on Vault with a 9.225 and is ranked 7th All Around in the region in her division. Her official competitive season ahs drawn to a close. Thank you, Francesca, for being a model of determination and perseverance to our community. You are the personified version of #aimhighsoarhigher! Saints Pride!